Jammu, Sep 14: Army troops and Indian Air Force on Friday acted swiftly and rescued Kishtwar district accident victims on Friday morning. A Mini Bus loaded with passengers lost its control and fell into Chenab River at Thakrie area of Kishtwar district. On receipt of the information of the accident, Indian Army troops located in the vicinity responded immediately and swung into action to the distress call for Rescue Operations. All the passengers were evacuated from the deep gorge to the road head by the Army troops with the help of locals. Army Medical Team rushed to the site and rendered Medical aid to the injured passengers. Subsequently, the injured were evacuated to District Hospital Kishtwar for the further treatment. Indian Air Force MI-17 Helicopter was requisitioned for evacuation of 08 critically injured passengers from the accident site. Then the injured were flown by Squadron leader MK Singh to Air Force Station Jammu and further shifted to Govt Medical College, Jammu. The timely and prompt response from the Army and Air Force facilitated in quick rescue of the injured and also in provision of suitable medical treatment thereby saving many precious lives. 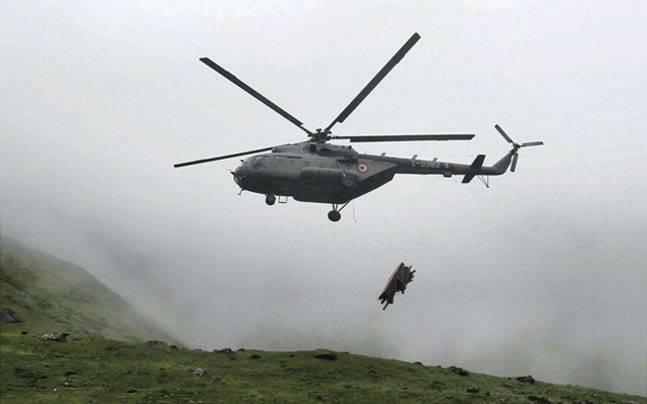 This humanitarian action by the Army and Air Force was highly appreciated by the locals. 17 persons were killed while 16 injured in a road mishap in Kishtwar.